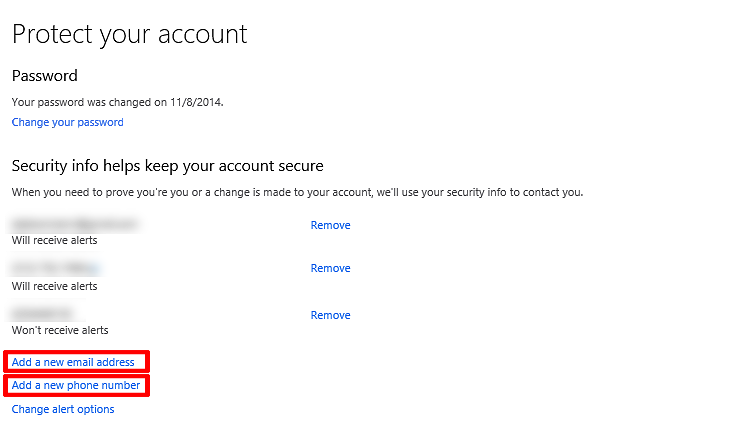 Sign in to your Microsoft account to add security information. This page describes how to add security information to your Microsoft account. Security information consists of an email address and/or phone number with which you provide us, which we use to verify your identity. On the Home page, go to Security & privacy, and then select Change password. You may be asked to verify that you are the account owner by receiving a security code via text or email, and then entering it online. Select Add a new email address or Add a new phone number. Then follow the directions provided to add and verify your new security information. 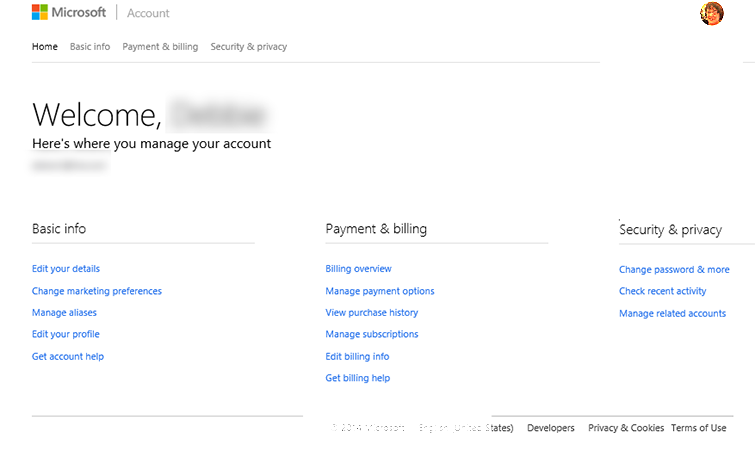 When you create a new Microsoft account, whether via your Xbox console or online, you’re asked to add security information such as a phone number and/or email address. When you do so, you’ll receive a security code on the phone number or email address that you provided. Though you have a few days to enter the security code, we recommend that you enter the code and verify your identity straight away. If you do so, your security information will be available to use immediately if you forget your password or if your account is compromised. If you don’t verify it straight away, and you forget your password before you verify it, for example, the security information won’t be available to help you recover your account.